Do you know why beauty trendsetters like Gwyneth Paltrow (1) and Emma Stone (2) are using natural face oils? If you're looking to have healthier, younger-looking skin without exposure to chemicals, toxins or harsh treatments, consider adding face oils to your skin care routine. Yes, it turns out the skin care ingredient we've feared most of our lives can actually transform our skin. 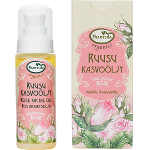 Just as oils rich in essential fatty acids are required in our daily diet to keep our bodies healthy, the right skin care oils are also necessary to keep your skin healthy. When you look at young, luminous skin, you are seeing skin at its healthiest; skin cells held together by an abundance of oils. (3) As we age, we produce less of the oils that give our skin a healthy glow. (4) So, your job is to add them back. Doing so is one of the most important ways you can support your skin, because a healthy lipid barrier prevents dehydration by helping skin retain moisture. When oils are applied to the skin, they are absorbed directly into the top layers of the epidermis, where they instantly go to work to improve the lipid barrier function. More often than not you'll see immediate results from the first application. After a month of use, my replenished lipid barrier rewarded me with a noticeable healthy glow and many comments from friends. Creams are mostly waxes and water, with a few oils thrown in. (5) Waxes form an occlusive layer on the skin, which helps to hold moisture in. There are two downsides to waxes: wax build up may lead to clogged pores, and the wax barrier may prevent the oil component of the cream (the part of the product that actually benefits skin) from penetrating. This is likely the reason why creams typically deliver a higher level of diminishing results over time. They will work, at first, because they help to initially hold in moisture, but as time goes on the wax barricade may prevent oils from delivering nutrients, like essential fatty acids, to the skin. Compared to water, wax and synthetic fragrance-based products, natural oils deliver all of the benefits with none of the downside. The stratum corneum, the top layer of skin composed of dead skin cells held together by lipids (oils), is your environmental protection barrier, protecting against the elements. (6) Lipid barrier damage occurs on a daily basis, so maintaining an effective barrier requires continuous input of lipids to the skin(7). Besides maintaining the integrity of the lipid barrier, oils inhibit peroxidative and oxidative damage(5). The reason you should care about that is, in one word, wrinkles. Upon contact with light, lipids will undergo what is known as peroxidation. These peroxidized lipids lose their barrier ability and gaps occur in the lipid matrix, resulting in a loss of skin resilience and the formation of wrinkles. Lipids are a much better exfoliator than AHAs that can strip your skin of oils. (9) Scrubs, harsh soaps and other drastic treatments that strip off your topmost lipid barrier may aggravate a blemish problem by eliminating the protection your skin needs and by encouraging your skin to produce more oil of the type you are trying to control, like excess sebum(8). Topical applications of fatty acids alleviate breakouts by re-stabilizing the lipid barrier, thus restoring anti-microbial activity on the skin's surface(9). What's more, because lipids dissolve lipids, oils actually break up congestion at the source. The skin care oils you apply should not have a downside. For example, many essential oils from the citrus family smell wonderful, but they can photosensitize the skin and should not be used in large amounts(10). In shopping for skin care oils one key factor to look at is the method of extraction, with expeller pressed, steam distilled or CO2-extracted oils being preferable to solvent-extracted oils(11). 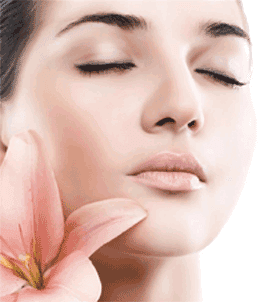 Skin care oils should be selected according to their therapeutic properties(12). Some oils like carrot seed, helichrysum(13) and krill(14) have known anti-aging, skin rejuvenating properties, while others like tea tree oil(15) have antiseptic properties. Finally, face oils can have aromatherapeutic benefits(15). Some essential oils, like rose and neroli, just can't be passed up because their aroma is simply divine. They are known to lift the mood and calm the spirits. 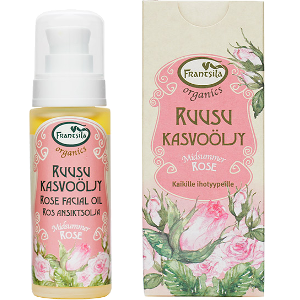 Skin renewing and protecting organic facial and body oil. 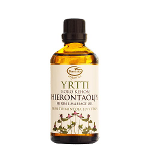 Discover more Frantsila herbal oils here.